Every year, VIPs and members of the Royal Emirates family attend the Dubai World Cup at the Meydan Race Course, and only they have access the race course by crossing this spectacular bridge. In order to elevate the prominence of this route and to create an architectural landmark in the city, it was decided that the bridge should be illuminated. 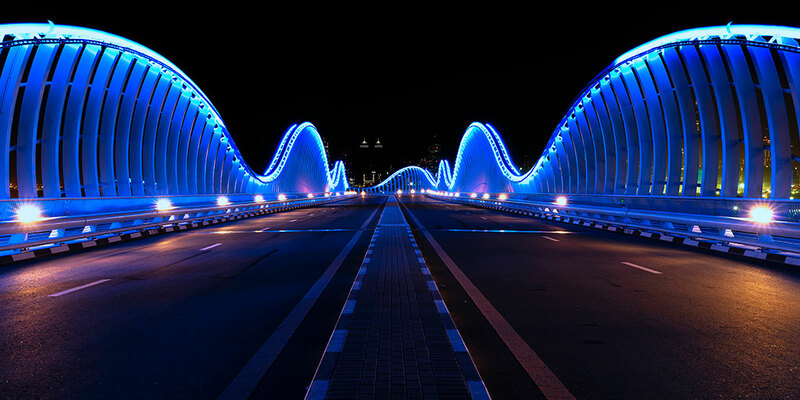 The project required a maintenance-free linear solution that would emit blue light and that could be easily integrated into the architecture and blend seamlessly with the undulations of the bridge. The illuminated bridge creates a spectacular display of blue ribbons against the night sky, so I went there at night to capture some photos of this stunning landmark. 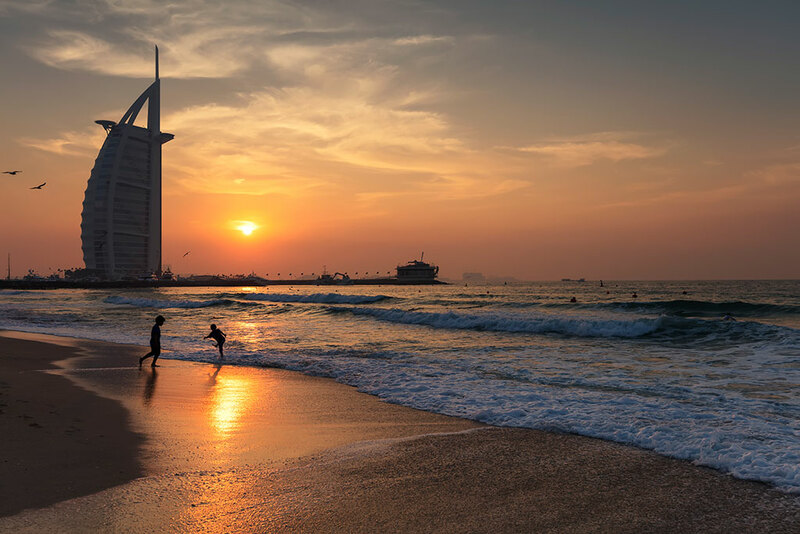 After a long day in a desert safari in Dubai, I decided to visit the Jumeirah Beach to watch the sunset and to take some photos of the famous Burj Al Arab hotel. To start, the beach was packed, and it was very difficult to find a parking spot, so after driving around several minutes, I finally found an available parking space and just in time for the sunset I walked to the beach. The sun was decending quickly, and when it was almost set in the horizon, the whole scene turned into those red-orange tones. I didn't expect such spectacle.